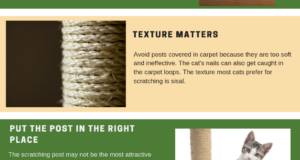 There are many ways to increase environmental enrichment in your home so that your ankles are no longer the most appealing target. Use your imagination and create homemade puzzles and toys. Set up a cat tree by a window. Install a bird feeder outside. 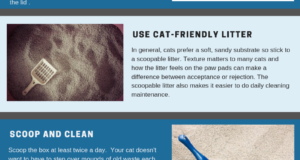 Use a “think like a cat” approach to looking at the environment from a cat’s point of view. Is it a boring environment? If so, then it’s time to roll up your sleeves and add some fun into your cat’s life. If your cat has her paws wrapped around your ankle and her teeth are sinking into your skin, what’s the best thing to do? One thing you shouldn’t do is run or pull away because that will often only result in the cat biting down harder. Prey moves away so don’t act like prey when you’re bitten. Instead, confuse your cat by gently pushing toward her. This will often cause her to release her grasp because no self-respecting prey willingly heads toward the predator. Once the cat releases her grasp, stay still and ignore her. She’ll soon learn that biting flesh results in an immediate end to the fun. For more specifics on play therapy and how to use toys for behavior modification and correcting cat behavior problems, refer to any of the books by best-selling author Pam Johnson-Bennett. 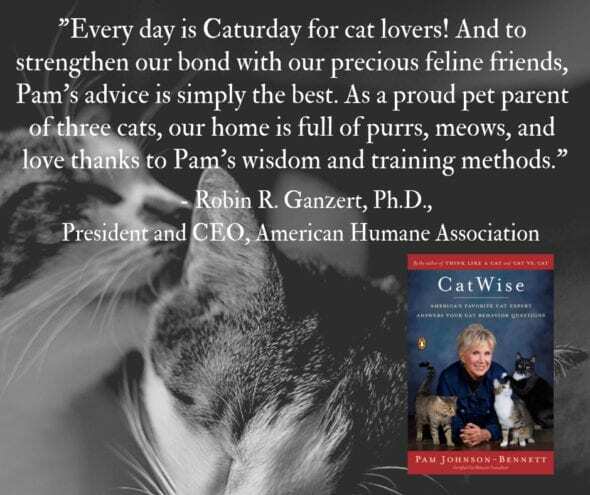 For more information on cat behavior and training, refer to the articles on our website and the best-selling books by Pam Johnson-Bennett. 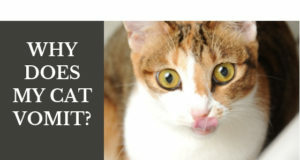 If you have a question about your cat’s behavior or health, contact your veterinarian. This article is not intended as a medical diagnosis nor is it a replacement for your cat’s regular veterinary care. This article is for general information purposes only.